A great shot and comment. We printed out a copy and sent it to Aunt Anna in Florida. She will be oh so happy to see it! 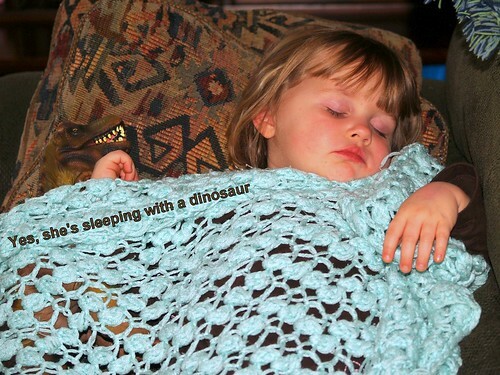 When we see this beautiful child with her Dinosaur and Afghan, we know that much is right with the World. We can have genuine hope for the future! Thanks for another of your creative and sensitive photo entries that enrich our lives! Mom and Dad.